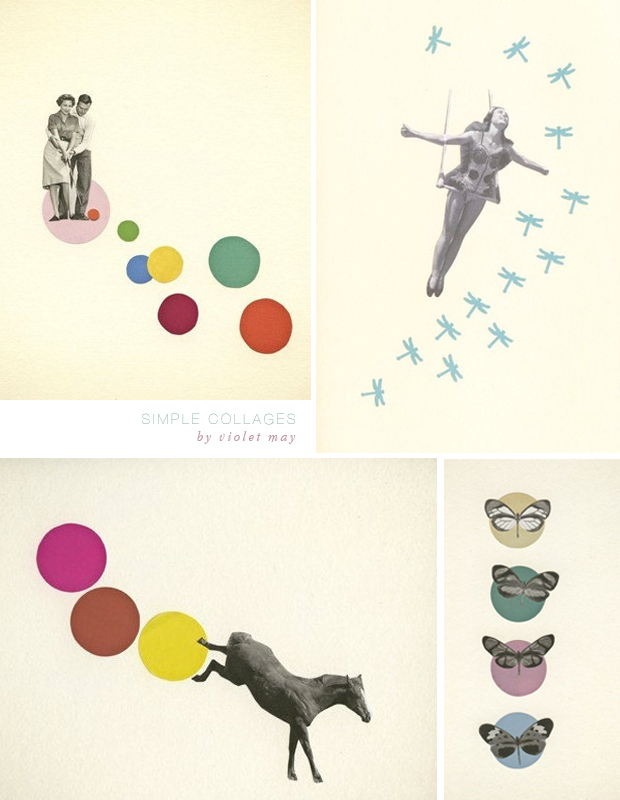 Fell in love with these simple collage prints from Cassia's Etsy shop. When I was younger I use to make collages with magazine cutouts, ribbon/lace, wood pieces, stamps, tissue paper...all sorts of things. These days I still do.